Dunitz & Company: Green Forward - Did You See Melania This Week? Yes, I'm referring to "Green, the color" this time. (I'm usually talking about green eco fashion, I know!) Earlier today I saw a stories from Vogue and Vanity Fair pointing out that our First Lady, Melania Trump wore fashionable green to meet with Queen Rania (another absolute beauty) of Jordan. Until now she seems to have been wearing a lot of white, neutrals and red. 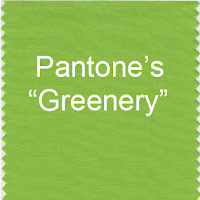 So where did the fashion statement of Green come from? 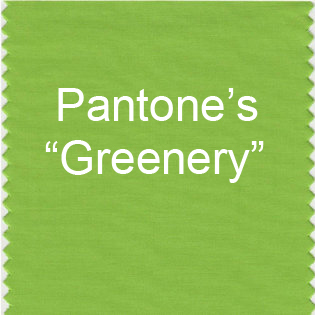 In December, Pantone announced that "Greenery" would be the color for 2017. At the time I was surprised. In recent times, Pantone had been all about light pinks and sapphire blue. This new grassy tone seemed such a departure. I had avidly watched all of the Spring runway shows.... and well, this shade of green didn't seem very prevalent for upcoming fashion. I had used bits of green as an accent when designing the Dunitz & Company Spring 2017 collections. At the shows I pointed this out and told my customers I was very clever. Ha. And then, perhaps I saw some of Pantone's influence when it came to Fall fashion. 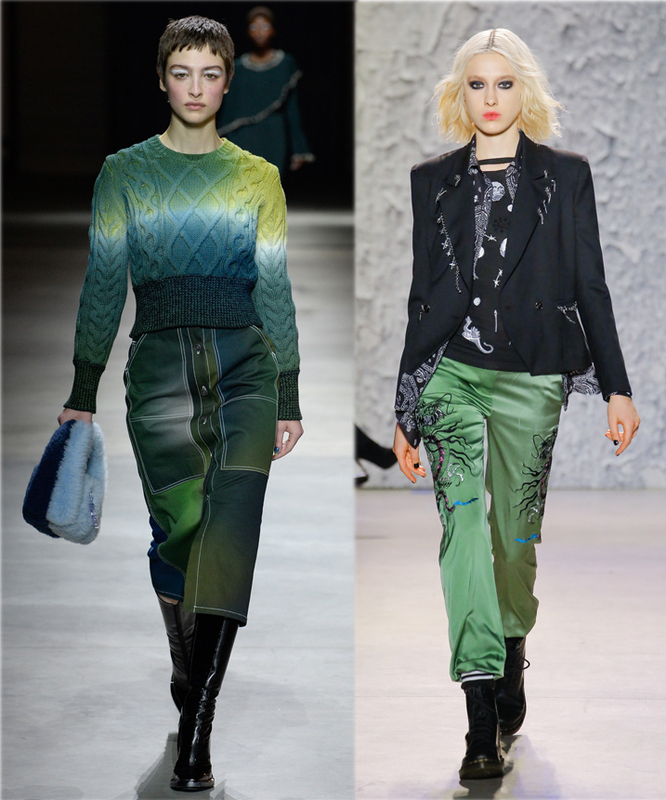 When watching the runway shows from New York, Paris and London I noticed that lots of designers were incorporating green into their collections. Of course this made me happy because I'm crazy for all shades of green. I love it in clothing. I love it in jewelry. I love it in home fashion. My mother always told me I "had" to own a sweater in any tint of teal green. (I don't think it was her favorite color.) 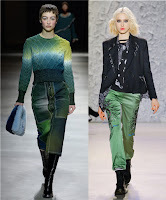 In this photo to the right are outfits from the Fall runways of Kenzo and Nicole Miller. And these two fabulously 'green' outfits are only the tip of the iceberg of green offerings for the upcoming season from "big designers". Between Pantone and "big designer" (That means Donna as in Karan, Nicole as in Miller and Calvin as in Klein among others. They make a lot more money than me!.) offerings, It was clear that 'green' would be BIG for Fall 2017 fashion. 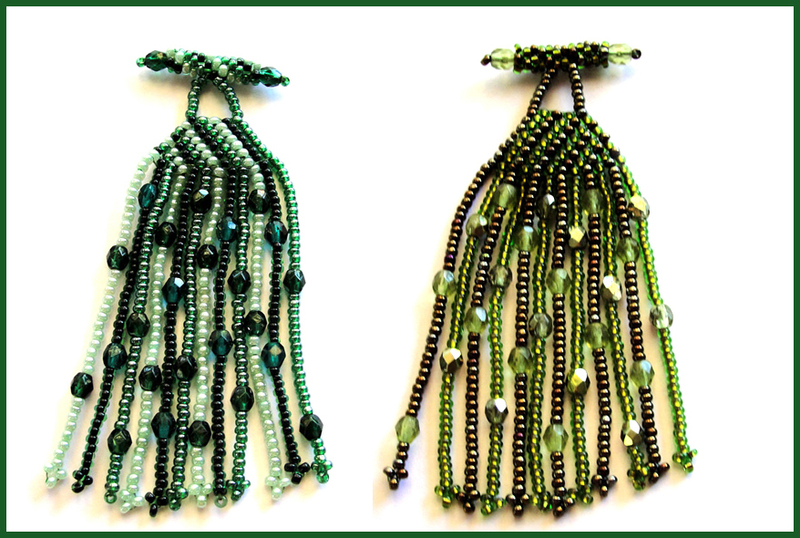 As always, I diligently studied the shows to create new color schemes for our beaded and fused glass collections. Here's a preview for you. In spite of my mother, I'm introducing a minty/tealy/hunter combo. And another, an olive/army green classic. I know they're winners!